One of Germany¹s leading manufacturers of elastomer hoses for industry, trade, road traffic, agriculture and municipal authorities, ContiTech Fluid Technology is presenting high-quality hoses, including special-purpose hoses, for the safe conveyance of drinking water, service water and wastewater at IFAT ENTSORGA 2012 in Munich (booth 124 in hall C4) from May 7 to 11. Specific rubber compounds, sophisticated process technology, high-quality pressure-bearing materials and professional-grade couplings ensure long service life and maximum industrial safety ­ even under very high loads. For over 75 years, the GOLD SNAKE® water and cleaning hose has shown that it can be counted on to guarantee the uninterrupted conveyance of water even when exposed to the difficult conditions of a construction site. 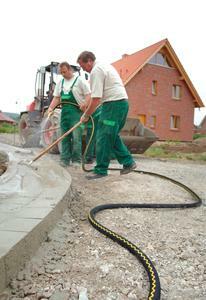 The highly flexible and extremely robust hose¹s materials and design enable it to master all challenges. 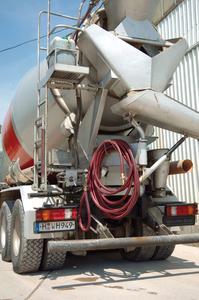 The pressure-bearing textile ply makes the hose resistant to buckling and to the weight of a vehicle passing over it. The GOLD SNAKE®Œs dirt-repellent jacket gives it resistance to oil, grease and chemicals. In addition, the high-tech hose boasts ample temperature stability in a range from ­30 to +100°C and resistance to the effects of ozone and UV radiation. The key characteristics of these ContiTech TRIX® hoses are exceptional sturdiness, high flexibility, resistance to high and low temperatures, ozone and UV, and long service life. So endowed, these hoses are well up to withstanding the thermal and mechanical stress they are subjected to on a daily basis in civil and structural engineering applications. Safety, reliability and easy, problem-free handling characterize the TRIX® Rotstrahl. In order to consistently ensure drinking water purity, lawmakers impose special quality requirements for drinking water lines. Any hoses used for this purpose must have been approved for the conveyance of drinking water. The DVGW test marking indicates whether this is so. 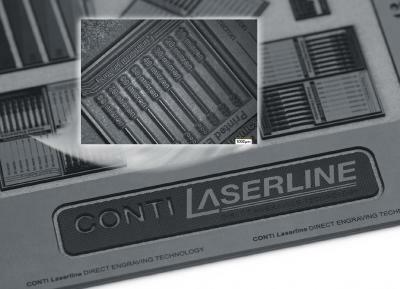 The AQUAPAL® from ContiTech was the first ever drinking water hose authorized for this purpose. It combines compliance with the highest requirements of drinking water regulations and the advantages of a flexible rubber hose. Made of transparent fluoroplastic, the inner lining of the highly flexible brand-name hose is homogenous, smooth, free from plasticizers, absolutely odorless and tasteless, and in full conformity with FDA requirements. Its robust NBR jacket grants long service life, even under the grueling operating conditions of outdoor use. 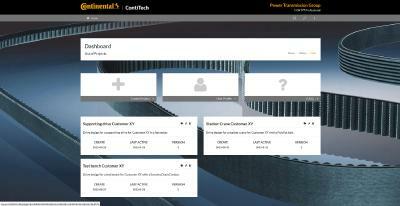 ContiTech is a good address when it comes to special-purpose hoses. At IFAT ENTSORGA, the hose manufacturer is thus presenting the CONTI Premium Suction SD, a hose that can be relied on to perform safely in sewage-channel cleaning vehicles. Large dimensional stability in suction mode and high resilience characterize the spiral sweeping machine hoses that ContiTech is also presenting here at the world¹s leading trade fair for water, wastewater, refuse and raw material management. The large hoses come in the requisite dimensions and with the desired connection to satisfy operating conditions of all kinds.